There is something almost magical about watching a large smallmouth bass enhale your popper off the surface. Sometimes they gently sip it down, but often they explosively hammer it…it’s all part of why catching bass on a topwater fly is so much fun! 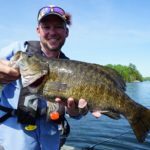 Here are some of my time-proven techniques for triggering smallmouth to take a topwater popper. Size – A common mistake made by many anglers is to use poppers that are far too large. 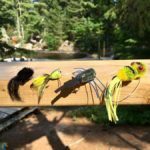 Experience has taught me that in most situations, smaller poppers are best for triggering a topwater strike. When you attract that bass to check out your fly, you don’t want it to shy away because it seems to large for them to eat. Even worse, they could be already sated and unable to eat one more morsel. You have to tempt them by offering something that small, light and impossible to refuse. Your popper should be like a chocolate mint after a big meal – even though you are full, you just can’t say a “no”. Poppers in sizes 4 to even a tiny 8 work best at tempting wary smallmouth. Color – A critical element besides size is often color. 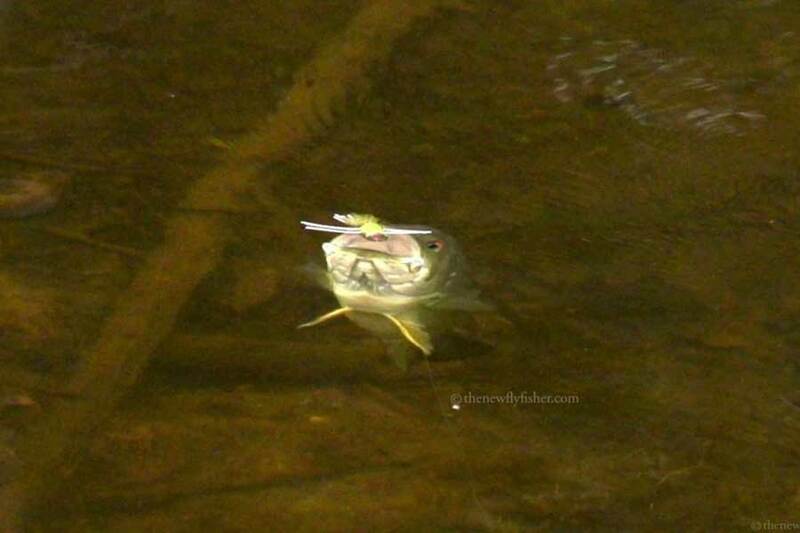 I have seen many a large smallmouth swim under my fly, examine it, then casually swim away without striking. When this happens, I quickly change to another color popper (sometimes one size smaller as well) and cast back to the same bass. Nine times out of ten, this leads to an explosive take. There is no doubt that color can make a huge difference at times. But does that mean you have to carry every color imaginable? Definitely not. In my experience there are certain must-have colors that should be in your flybox. Yellow is unquestionably my all-around favourite. If it has some red or orange blended with it, even better. It seems to work everywhere and virtually in all water conditions. However, various shades of green, green/white and definitely black poppers should also be in your flybox. 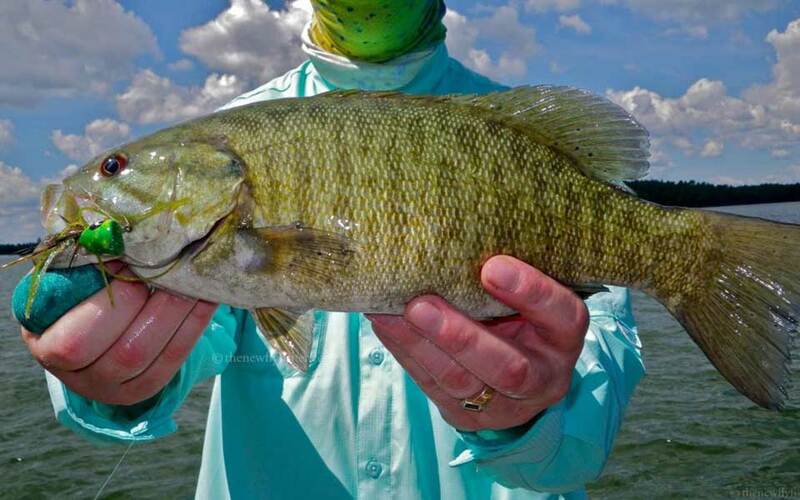 In low light conditions, a darker color is often needed to help smallmouth “see” your offering against a dimming sky. Keep an assortment of these colors in different sizes and it can make a huge difference on many days. Design – The last point about hard poppers is their design and shape. I like concave or at least flat noses on my flies, this helps to move water and causing “popping” which draws in curious smallmouth to investigate. 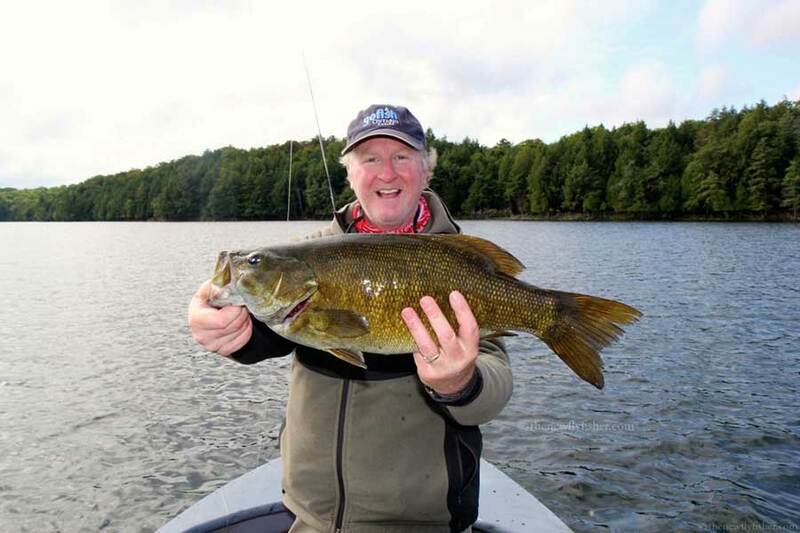 Patterns like Sneaky Pete’s and others do not provide sufficient “noise” to prompt smallmouth to check out your fly. In essence, your popper is like a dinner bell for bass. 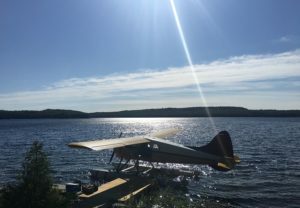 They know that a struggling insect, mouse or other prey item will create noise on the waters surface as they struggle. 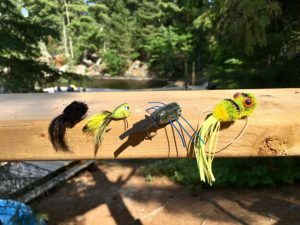 Your topwater fly must make a distinct “popping” noise in order to effectively ring the dinner bell and help incite a strike. 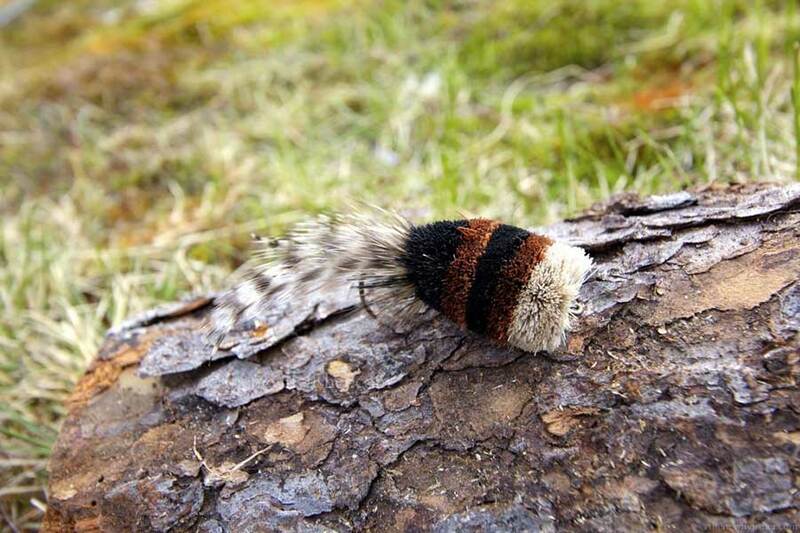 Deerhair Poppers – Today these are often overlooked by anglers, which is a big mistake. 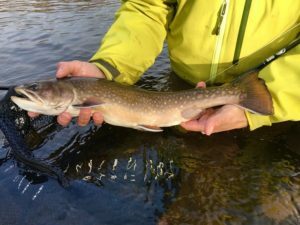 Taps Bug,designed over 50 years ago by William Tapply, is probably one of the best deerhair patterns for catching smallmouth. I believe it has to do with the way in which deerhair sits in the surface film. 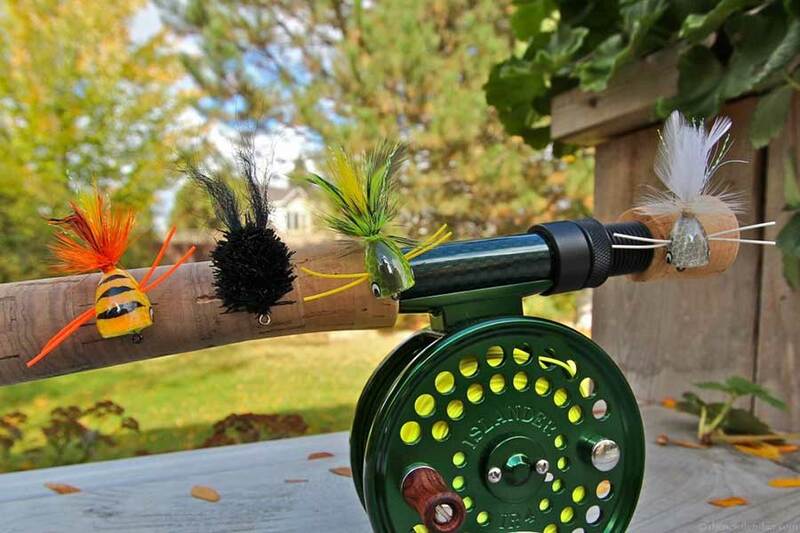 The deerhair will absorb some water which helps sink the fly slightly. This dramatically improves the silhouette of the fly which often seems to trigger a strike. Deerhair poppers in shades of brown and especially black work exceptionally well. I genuinely believe they are often taken by bass who think it is a mouse. 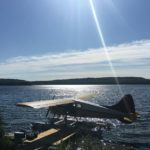 In July and throughout August the smallmouth are scouting the shallows, looking for leopard frogs or mice that have made the mistake of swimming out too far. 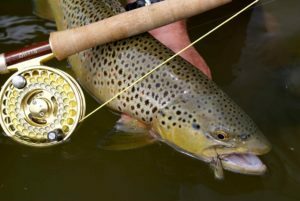 Casting relatively small deerhair poppers into the shallows and slowly “popping” them back usually results in explosive takes! 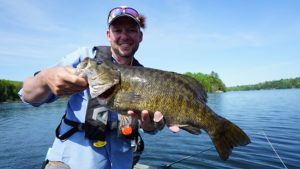 If you incorporate any or all of these recommended items into your next fishing trip for smallmouth bass, it will definitely make a huge difference in your catch percentages. What can be better on a warm summer evening then watching a big smallmouth hammer your popper on the surface? It doesn’t get any better, in my opinion.